DANVILLE, CA JANUARY 27, 2014 Jason Scherer, with co-driver Lance Clifford, will be the last driver to qualify for the 2014 Griffin King of the Hammers on Wednesday during the acclaimed Power Hour. Jason Scherer’s #76 Rubicon Express, Nitto Tire, Pirate4x4 car is extremely different than what he has driven the last couple years. “Lance Clifford built this car as a high-speed family rig a couple years ago, but recently decided to cut it in half and turn it into a race car. I brought it into my shop and have changed 100 little things to make it a racecar, from small sheet metal work to adding the Nitto Tires, Method Wheels and Tireballs, to making sure that it fits within all the KOH rules. I think we got it! It is notably the fastest car I have driven in the desert to date. It only took Wayne at Fox Shox a few minutes to get us through the roughest sections at record speeds,” said Jason Scherer, the 2009 King and the 2012 & 2013 Ultra4 National Championship Race Winner. 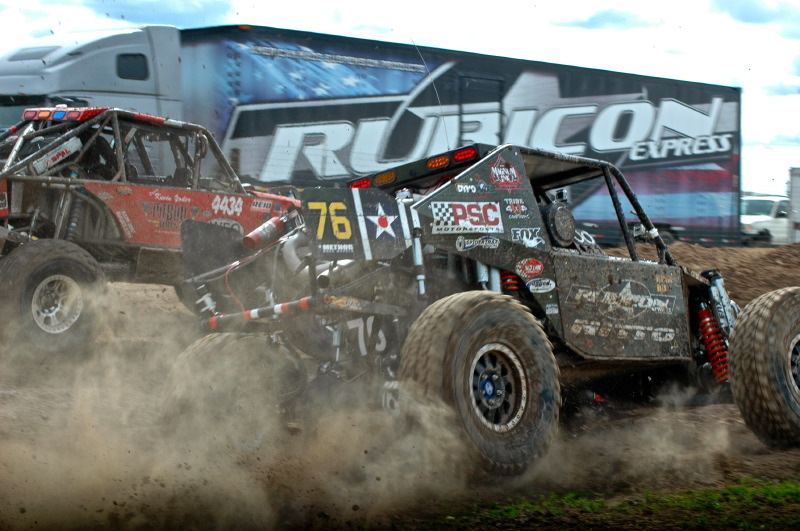 In 2007 Jason Scherer and Lance Clifford, under the Rage4th team banner, won half the Rock Crawling Competitions during the season including the Pro-Rock Championship and had more fun than anyone in the sport. In 2008, Jason Scherer raced the King of the Hammers and won the 2009 race, while Lance Clifford pioneered the Ultra4 Live Coverage viewed on Pirate4x4.com. 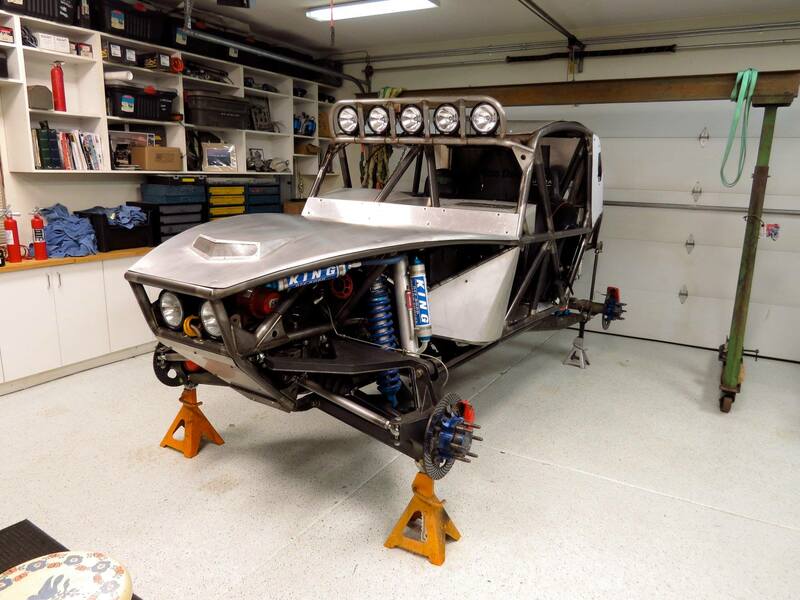 Jason has finished every King of the Hammers race he has entered in the top 25, finished the 2013 season with a win at the 2013 Ultra4 Nitto Tires National Finals and has won 3 out of the last 6 races while Lance Clifford has been Robby Gordon’s co-driver at the last two KOH races. In 2013, Lance Clifford has traded back up to be Jason Scherer’s co-driver. Lance had built an incredible IFS front-engine 4-seater family-rig racecar but it had never been tuned and race prepped. He asked Jason to help him dial it in and a hair brained idea emerged. Jason asked Lance, “why don’t we race this car at KOH?” That was all it took for the two to join forces once again. 2013 RECAP: Jason Scherer started on the pole position at the 2013 Griffin King of the Hammers presented by Nitto Tires and finished 21st with 25 minutes to go. Jason completed two entire laps of the race with no power steering, stating it was one of the most physically and mentally demanding races in his career. The Win at the MetalCloak NorCal Stampede, at Prairie City SVRA came with a lot of work. After placing first in his heat on Friday he could hear the front differential making a lot of noise and knew that in order to get through the main race, they would need to fix it, which took all night and were ready for the green flag of the main race just in the nick of time. The second pole position for the season came at the 4Wheel Parts Grand Prix race after having the fastest heat lap times, followed by leading every lap of the race until the transmission failed. Jason started 12th at the Ultra4 Nitto National Championship based on his season points position. He had a consistent race to finish the season with his second Win in 2013, and his second consecutive National Championship race win!